Metal roofing is a great choice for many home and business owners. Not only is it durable and long-lasting, it’s environmentally friendly and fire resistant. You can choose from a variety of styles and colors, so there’s no problem with matching your home in a complementary hue. 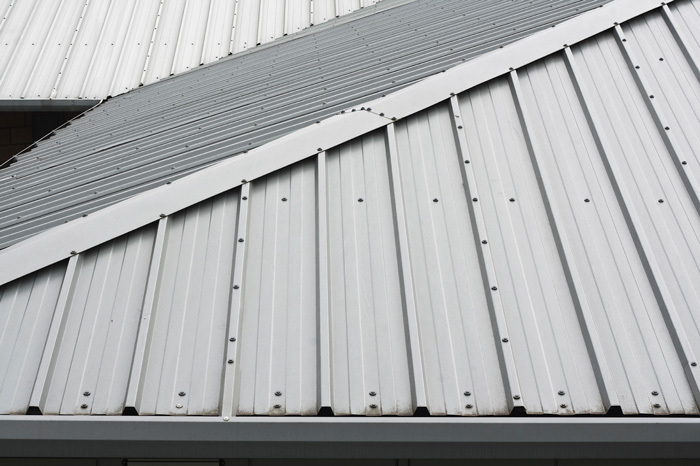 Here is everything you need to know about metal roofing. Metal roofing happens to be one of the fastest growing segments of home improvement. In fact, it has more than quadrupled its market share over the past decade. With a metal roof, you can boost your curb appeal and your property value. Plus, you save on energy costs and replacement costs due to a long life span of this product. Making a wise purchase decision about metal roofs requires a solid look at both sides of the coin. You can control the cost of maintaining your home: Metal roofs don’t degrade in the same way most roofing materials do. A properly-installed and quality metal roof will ensure you aren’t hit with unexpected repair bills time and again. Wind Resistance: Metal roofs have panels that interlock or interconnect for exceptional wind resistance. Light Weight: Low-weight roofs help prevent structural movement and damage, particularly in areas where seismic activity frequently takes place. Did you know that metal roofs are the lowest weight roofs available? You can even install them over existing shingles, doing your part not to add to landfill disposal. Energy Efficiency: Thanks to reflective coatings and integrated thermal breaks, metal roofs reduce your summer cooling costs by 20% or more, keeping you more comfortable in all seasons. Fire Resistance: Metal roofs resist airborne sparks and embers to guard against exterior fires. Adaptability: Metal roofs are adaptable to any roof and home design, with products available for low- and steep-pitch roofs, as well as those that resemble wood shakes, tile and slate. Longer installation time: Metal roofs must be precisely flashed to meet your roof’s configuration, which can extend the installation process. Noise: You may hear some noise during a big rainstorm as the droplets hit the roof. But to put it into perspective, the sound of rain on a metal roof wouldn’t be nearly as loud as rain on a skylight. Denting: In a big enough hail storm, your roof could get dented. However, the hail would have to be pretty big to see noticeable damage. Cost: Initially, metal roofs may cost more than a shingle roof, but because they have triple the life span of shingle roofs, the investment is well worth it. Before you make the decision to put on a metal roof, here are some more facts about metal roofing. There are a variety of metal roofing finishes to choose from that can increase the curb appeal of your home, increase its value and reduce your environmental impact. In general, metal roofs don’t have special ventilation needs or condensation concerns. Metal roofing is a good conductor of solar energy. High-strength metals and deep texturing means metal roofs don’t lose their strength over time. This makes them resistant to foot traffic and even hail. Contact us at 817-532-5244 to learn more about metal roofing throughout the DFW.